This solitary coastal ray has a very round pectoral disc, and a tall dorsal fin near its large caudal fin on a stocky tail. It is a dark gray above, often with irregular dark spots, and pale white below, with the males growing to 36 inches long and females growing to almost 54 inches. It uses the two kidney-shaped electric organs on the sides of its head for hunting and defense, and it has been known to take an aggressive stance to humans so it should be treated with caution. In the English language, this ray is commonly referred to as Pacific electric ray, torpedo, Pacific torpedo, and electric ray. In other languages, common names include californisk darrocka (Swedish), raya electrica (Spanish), pazifischer zitterrochen (German), dretwa kalifornijska (Polish), and pacifische sidderrog (Dutch). 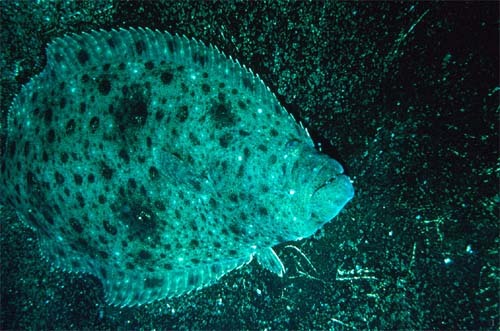 The Pacific electric ray is caught in the small commercial fisheries off the coast of southern California and are utilized in biological and medical research. However, there is little or no impact on the ray population due to their large numbers. They are also taken as bycatch in trawls and gill nets by commercial fisherman. The ancient Greeks and Romans used the electric current of the electric ray to treat ailments such as gout and headaches. Although humans do not regularly fish this ray, today it is utilized in biological and medical research. Divers are warned to avoid contact with the ray, as the shock of 45 volts or more is powerful enough to knock down an adult human. The Pacific electric ray is very confrontational and if harassed, will swim directly at divers. There are no confirmed mortalities from this ray, but there are some unexplained scuba fatalities in which this ray might have played a part. > Check the status of the Pacific electric ray at the IUCN website. The pacific electric ray resides in a range of habitats and is endemic to the northeastern Pacific Ocean from Magdalena Bay, California (US) to northern British Colombia (Canada). 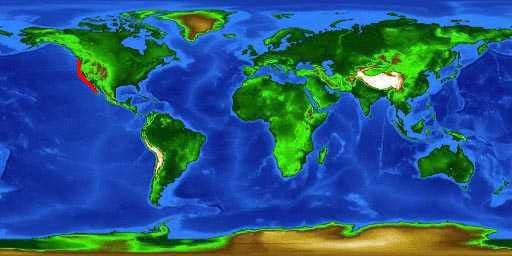 There may also be a few small populations north of Point Conception (Ebert, 2003). The electric rays off the coast of Peru, Chile, and Japan may belong to this species as well, although this is yet to be determined. Pacific electric rays are usually found on sandy bottoms around rocky reefs and kelp beds. These rays are solitary, nomadic, and can remain suspended in the water with minimal swimming effort. This ray can be found at an average depth of 10-100 ft (3-30 m) off the coast of California, however along the Baja coast they can be found at depths of 330-656 ft (100-200 m). These rays have even been observed swimming in the shallows over water depths of up to 9,843 ft (3,000 m) as they periodically move offshore to epipelagic habitats. The preferred water temperature of this ray is 50-55° F (10-13° C). 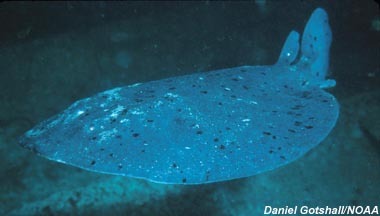 The Pacific electric ray is distinguished by its round, flabby body and large first dorsal fin. The body disc is oval in shape with a short, stocky tail and large caudal fin. 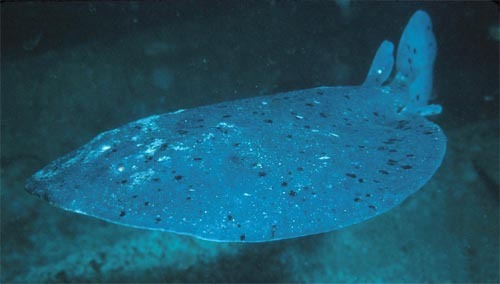 The kidney-shaped electric organs are visible on either side of the ray’s head and can generate and control a charge when provoked. The dorsal surface of the oval disk is smooth, lacking papillae and possessing no ocelli. These rays are uniformly dark gray to bluish or brown dorsally which extends throughout the tail. Some individuals have small black spots located dorsally on their discs. The ventral side of the animal is lighter in color than the dorsal side. This species has small teeth which each possess a single smooth edged cusp. There are 25-28 teeth on the top jaw and 19-26 teeth on the lower jaw. Pacific electric rays have a very low resilience with a population doubling time of more the 14 years. Males mature at 26 inches (65 cm) total length in about 7 years and reach a maximum length of 36 inches (92 cm). Females mature at 29 inches (73 cm) total length in about 9 years and reach a maximum length of 54 inches (92 cm). This species of ray have been found up to 90 lbs. (4 kg) in weight. The average life span for this ray is at least 16 years and possibly up to 24 years. Pacific electric rays feed mainly on fish, including halibut, mackerel, flatfish, kelp bass, anchovies, hake, and herring. This ray also feeds on invertebrates including cephalopods. At night or in turbid conditions, the ray obtains food by actively foraging in the water column for prey. Due to limited visibility at night, they rely on electrical stimuli given off by prey which is detected through the ampullae of lorenzini. The ampullae of lorenzini are small vesicles and pores that are part of the subcutaneous sensory network system. These pores detect weak magnetic fields produced by other fish and allow the ray to locate prey that are buried in the sand. During the day the ray rests on the bottom partially buried in the sand and ambushes prey as the animal approaches. The fish are stunned with an electrical charge which is concentrated as the ray wraps its disc around the prey. This electric organ discharge (EOD) can measure up to 50 volts in a large animal, and with low internal organ resistance can produce a power output of 1 kilowatts. Pacific electric rays are ovoviviparous with embryos feeding initially on yolk and eventually receiving additional nourishment from the mother through absorption of uterine fluid. This fluid is enriched with mucus, fat or protein and is secreted by specialized structures within the uterine wall. Pups are born live from the mother and litters usually range from 17-20 offspring that measure 7-9 inches (18-23 cm) in total length. There is no definite birthing season, but the reproduction cycle is believed to be annual in males and biennial in females. This means that the males are able to reproduce every year, while the females are not reproductively active for the year after giving birth. Young double their size in the first year of life, growing up to 10 additional inches (25 cm) in total length. This ray has few natural predators due to its formidable electric capabilities and large size. They are seldom confronted by predators which may include sharks and other large carnivorous fish. The Pacific electric ray is one of 14 described species of electric rays, but is the only species limited to the west coast of the US. The species was first described as Torpedo californica by Ayres in 1855, but was later placed in the genus Tetronarce by Gill in 1861. The animal was ultimately returned to its previous genus and is currently known as Torpedo californica. Its genus name, Torpedo, comes from the Latin word ‘torpidus’ meaning numbness in reference to the effect of the electric organ. 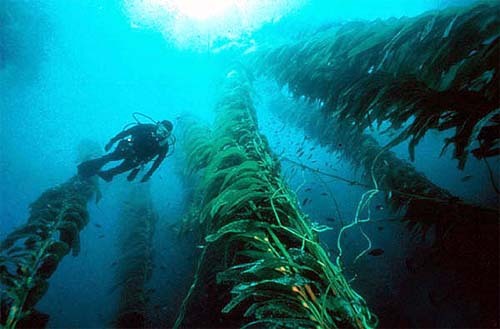 The species name, californica, denotes where the animal was first discovered – the state of California (U.S.).